Trump may not see end of his first term, expert in American politics says – Kenyatta University TV (KUTV). All Rights Reserved. 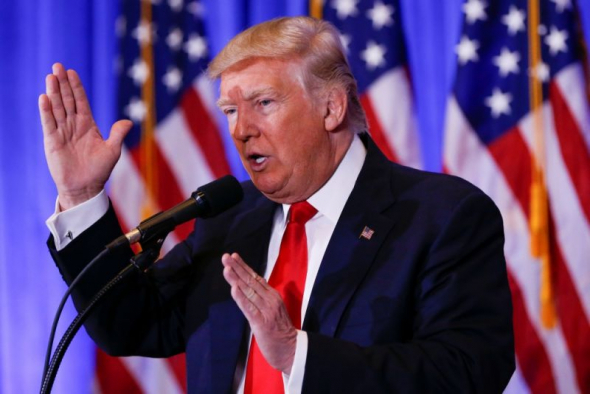 Donald Trump is set to take office on 20th January but according to local dailies, an expert in American politics has come forward to state her belief that the 45th president of the United States will not see the end of his first term. In an interview with The Independent, University of Manchester professor Angelia Wilson claimed that due to the numerous scandals Trump has faced since starting his campaign, he has become a “liability” and an “embarrassment” to the Republican party. The professor went on to state that the decision to impeach Trump would ultimately come down to his policies (and relationship) with Russia. “I cannot imagine the military leaders up for appointments are going to suddenly become friends with Russia, they are going to continue to hold a question mark over any attempt by Trump to create some kind of ‘special relationship’ with Putin,” she told The Independent. However, other experts in U.S. politics told The Independent that, while impeachment wasn’t out of the question, the Republican party will likely do whatever it can to give Trump a chance, due to the potential consequences and implications of a party ousting its own candidate.